Our vision is so essential to daily life that we almost take it for granted. According to National Eye Institute (NEI) studies, a person’s eyes are responsible for up to 80 percent of sensory data the brain collects. Knowing that, it’s easy to see why any injury that causes vision issues can impose serious challenges on a person’s life. • Head trauma – an injury to a person’s head can damage the eye itself or cause damage to any part of the brain that receives and processes visual information. • Eye trauma – a direct injury to the eye can cause vision problems, including blindness. 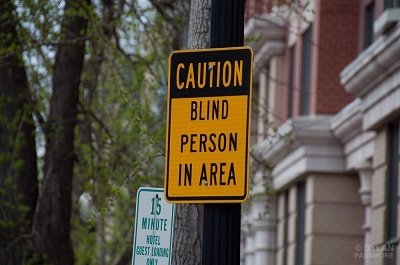 These types of injuries often happen during workplace accidents, car accidents, or other situations where flying particles can strike a person’s eye. • Chemical exposure – people who work with chemicals must wear protective eye gear. A single drop of a certain chemical can cause a serious eye injury. Just the vapor from some chemicals can cause severe and permanent injury to the eyes. Jurewitz Law Group has helped many Carlsbad residents and their families who have suffered vision loss after an accident. We are experienced in investigating the causes of accidents, finding out who the responsible party is, and holding them financially responsible for your damages and losses. Jurewitz Law Group can help you and your family secure the financial settlement needed to cover your medical bills, lost wages, and pain and suffering, and more. Contact our Carlsbad personal injury lawyers today for a free consultation at (888) 233-5020.